A new toy! « You know… that Blog? Spent some time blog hopping this evening, and found this idea on Cate’s blog. 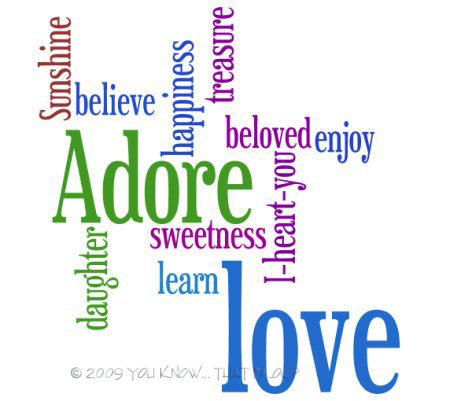 It’s from Wordle, and I love it! It scans whatever page you send it to, and makes up a word cloud. The most used words are larger. You can also plug in whatever words you want, and it will create something unique for you. I can see where I’m going to want to reconsider the overuse of some words though. Except Haiku that is :) And boy is my head going overtime in creative ways to use this. Nifty, eh? I need to do a Wordle soon! I’m just a tad intimidated by the words it might select. But then again, I COULD be pleasantly surprised! 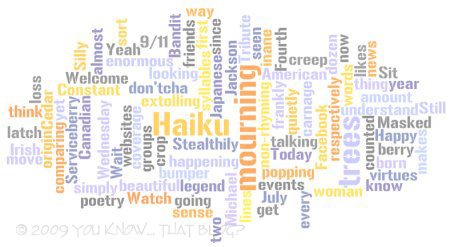 I love wordle. I did one for my son and husband. It was a fun way to reflect on their personality and traits.